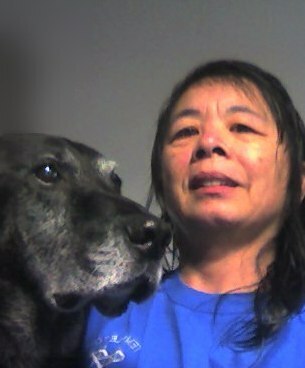 I belong to the Templeton Branch of the Stroke Recovery Association of B.C. which I joined in 1995 after seeing an add in the community flyer. It is conveniently located a close to where I live, enabling me to attend weekly meetings. I can walk long distances, but I stay away from busy places. I can go for months without getting in a vehicle. Templeton’s founders, Ollie Stogrin and Key Akeroyd convinced me to go to the SRABC Easter Camp. I had a good friend in Brackendale who picked me up Thursday so I would be closer Friday and had an out. Even then, I often didn’t surface until Saturday. SRABC hosted Easter Stroke Camp for over 20 years in Squamish. It began with Phylis Delaney in 1979. Sadley, it was discontinued in 2005 and a huge loss to our members. The benefits from this type of event is now being realized in Eastern Canada and the USA. It had to be recreated for stroke surviors who have long exhausted initial rehab and therapy. I am one step up from a shut in. Most of my contact is done in Cyberspace. The ability to tolerate a computer screen was a gift from my last stroke. Since beginning TurtleTalk 2 years ago , not only have I created new pathways and triggered dormant areas, I have created pathways into Cyberspace. Several are invalid, but generally speaking it’s working out very well for me. Once we decided to go back to Lions Easter Seals Camp we began making arrangements to have it after the Olympics. Easter Camp BLAST 2011 would mark our new beginning. The more I did for BLAST the more BLAST did for me. I only work in the background. Good Friday to Easter Monday I’m just a happy camper. Without the help of ex-campers coming together it would never have come to fruition. 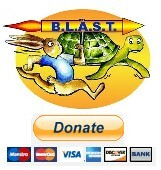 The whole TurtleTalk team and BLAST attendees contributed. Special thanks to Karel Ley who jumped right in to take on the precarious Chair position and Margaret Hansen for Coordinating the wonderful weekend with her typical welcoming style. Martha Hutchinson with her love story rolled into the planning committee until called on another mission. There really are too many people to thank. Old friends I have crossed paths with and fellow Turtles donated their time , money and support. Now we have a new BLAST family. They all "Rock” and contribute to our success! Stroke Survivors BLAST - "Building Life After Stroke Together” is a BLAST, It began as a simple acronym and the meaning becomes more and more profound as we progress. BLAST has given stroke survivors an event to be proud of. Easter 2011 was better than we had imagine. One can’t help but continue to do more for each other. It was a magical weekend filled with love and support. I dedicate our first annual BLAST to my Mother. Gage, my service dog (Gage's Video Fundraiser) had to do his part and raised $3,000. mostly from his friends and family. He is the other component to my neuro interest and mentor to ‘learning under the guise of fun’. B.L.A.S.T. is pseudo "therapy under the guise of fun”, making happier people healthier people. Now that we have the TurtleTalk.ca website to promote the benefits, we can attract stroke survivors, caregivers, friends, and Volunteers interested in stroke recovery. There is potential to bring science, medicine, alternative practitioners and the BLAST ambassadors of stroke recovery to continue our journey towards BLAST "Building Life After Stroke Together" BLISS "Better Life In Surviving Stroke". Please have a look around our site and consider becoming involved with our project.